As 2017 is coming to an end and 2018 fast approaches there is a little bit of unfinished business to settle in the world of drone racing. 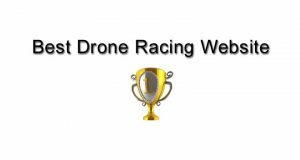 2018 kicks off the drone racing season with the IDRA 2017 Challengers Cup Finals scheduled to be held on January 19th and 20th of 2018. The site for the championship final is the South Point Hotel, Casino, and Spa, in Las Vegas Nevada. The 2017 Challengers Cup consisted of 12 races around the world, from Buenos Aires to Manila, and now the Top 32 Ranked Pilots will compete in the 2017 Challengers Cup Finals for the World Championship and $50,000 in Las Vegas Nevada. 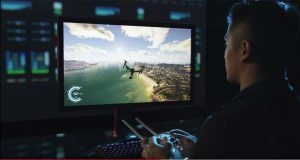 Drone racing pilots like number one qualifier JaeHong Lee from South Korea with 256 points and number two qualifier Santiago Nardin of Argentina with 253 points along with number three qualifier Mikhail Korolev of Finland with 231 points. We also have Canadian Travis Ames at fifth qualifier with 205 points and the first American qualifier Andy Marachilian of the United States with 142 points qualifing in fifteenth place. 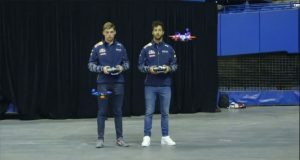 Along with the Challengers Cup finals the 2017 Dronas will be held following the drone racing championship event. The 2017 Dronas will include a reception, dinner, and awards show. Everyone is welcome to join the IDRA at the South Point Hotel & Casino to enjoy world class competition, exhilarating drone racing, and the 2017 DRONAS: Drone Award Show. More Information on the championship event and venue can be found at the IDRA website. The IDRA 2017 Challengers Cup Finals in Vegas sets up to be an excellent way to end the 2017 drone racing season with a champion and begin the new 2018 drone racing season. It’s not to late to make it. Hey! There are worst places to be than Las Vegas in January.